Part of the lifestyle of being a way important world traveler is the constant struggle to eat well on the road. On site, grabbing a "TV dinner" or late night drinks are a killer. But resisting the temptation to eat crap while killing time in an airport can be a challenge as well. Anyone can pull up to the bar and grab a cold one and some bar food, there's a brand-name brew pub in every terminal. Finding the hidden gems takes a little luck and lots of experience because there aren't many. 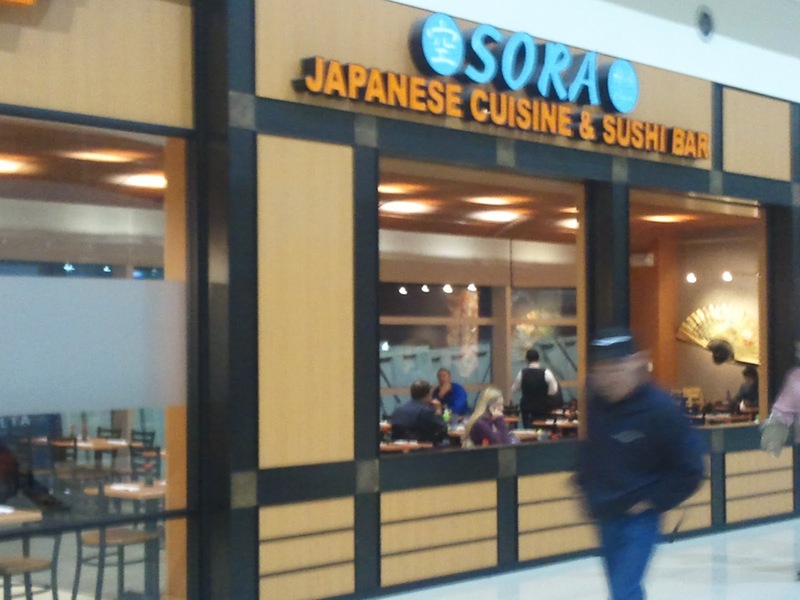 There are only three places I look forward to dining at on the layover. 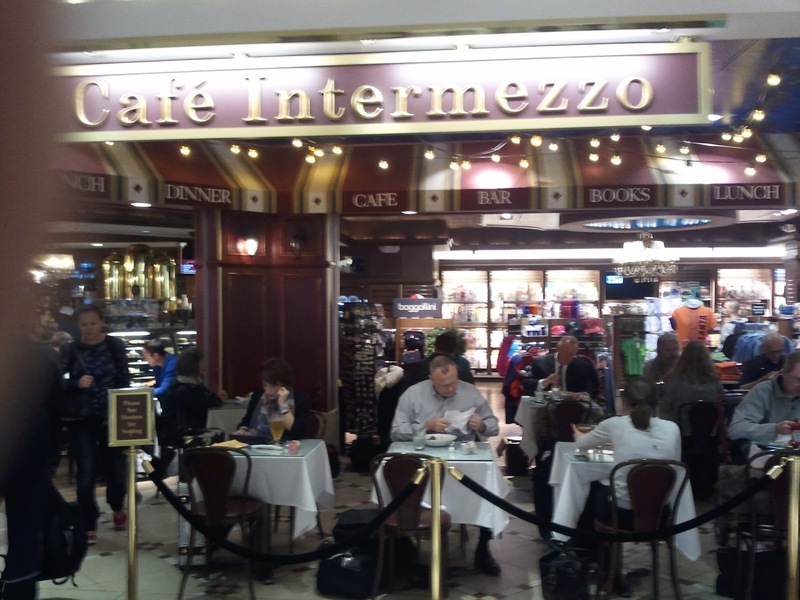 First (above) is Cafe Intermezzo in Atlanta's B terminal. 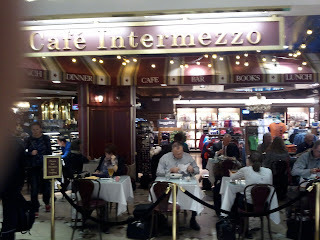 Really the perfect spot, the Eurpoean style cafe and wine bar with an eclectic menu...and a bookstore. In the mornings, you can get crepes and coffee. The rest of the day there's soup, sandwiches, pasta, pizza, and quesadillas; beer, wine, and cordials. It's a nice place to catch up on your reading or keep an eye on the game on the flat screens at the bar. It's an oasis in a fairly depressing Atlanta weigh station. Detroit Metro is Camelot by comparison. It's bright and spacious and clean. And there's sushi in the A terminal. Sora's wood/bamboo decor really makes you feel like you're in a Japanese restaurant rather than an airport. They've got creative rolls and good house sake. The TV behind the sushi bar is old, but they'll put the game on. You can get a high-quality meal for about $35. That's it, that's the list. The other place I make time for isn't on the connection, it's at home (when I'm not running to catch my plane): The Dewar's Clubhouse at SAV. I recommend the lime chicken and brie sandwich with roasted peppers and caramelized onions. And maybe you'll be fortunate enough to get the country's best bartender. Will will hook you up before you jet.